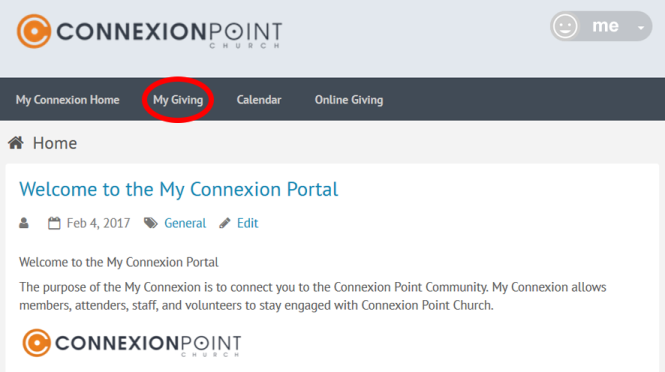 Connexion Point Church would like to thank you for your generosity and for partnering with us as we seek to be the hands and feet of Jesus both in Baltimore and beyond. If you are in need of obtaining your year end giving statements, please use the steps below to view and/or download them. 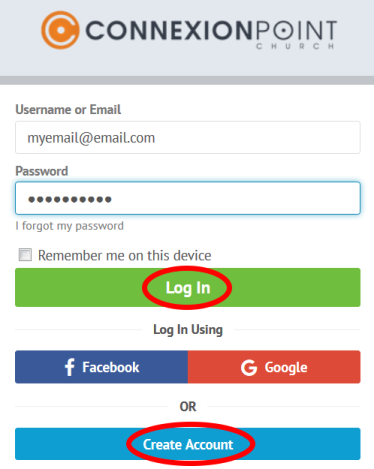 Go to the My Connexion Portal and Sign into your My Connexion account. If you have not yet created an account with My Connexion, you will need to do so first in order to obtain your statement. Click Here to create a new account. From the member area select the "My Giving" tab from the top bar. A page will then load listing your giving records. 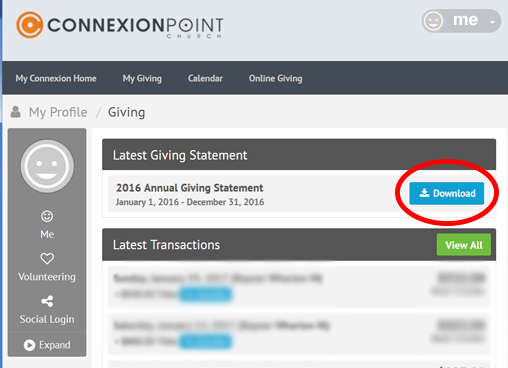 Click the ‘Download’ button to obtain a copy of the Giving Statement in PDF format. Downloaded statements are in PDF format and require a PDF reader to view them. If you do not have one, Click Here to download Adobe Acrobat PDF Reader. Statements are available upon request. Please allow one week for printing.